After a successful few months day trading ups/downs on BITCF and SING, I sold everything off. Found out while my funds were settling that BITCF is under SEC investigation now, and anyone who holds it is in limbo. You were right, pink sheets can be pretty sketchy. MGTI actually is investing in a bitcoin mining operation in my home state of Washington, so that's kind of cool. The antminer S9 ASIC is the top tier ASIC at present and Washington has very low electric costs (near eastern Washington anyway). Going to try to ride the wave with this one. The world exists in a multiverse with our galaxy being one of many. Within the galaxy are many solar systems, you have old systems such as Sol (which was mostly destroyed by the empire) and the current starting system Thaxim. Ero, Lament, and Thaxim Prime. There are many bordering solar systems that will be available to visit once development takes off; with new areas being unlocked as they are available. We will manage this through the hyperdrive ship system. New areas will be 'unlocked' as they are discovered. All players will be a survivor of earth, escaping to the Thaxim mining Colony known as Thengston Platform. Thengston sits in space around a small asteroid belt that sits between Thaxim Prime and Lament. Earth has vastly been destroyed by the empire in their attempts to build a planet destroyer (and succeeded mostly). Players will be stranded on the platform for some time until new areas are unlocked and developed to which ship technology will become available and players can leave the platform for other areas such as planetary surfaces or small outposts/villages. Outside of the platform is the Thengston asteroid belt which consists of several large and many smaller asteroids. One or two of these will be close enough for players to use an EVA suit to explore. They will be able to mine materials there as well as go exploring the depths (tunnels) where there is a form of hostile alien life as well as better mining veins and materials for more advanced weapons/ship building. Life on the platform is controlled by a small group of banded-together survivors called "The Elect". These officers control the daily activities of the platform including the creation of rules/laws while aboard the platform. Players will have an opportunity to play as a security team member, mining faction, explorer, or even a mercenary / hunter who is brave enough to go into the tunnels of the asteroids. The platform has housing units for players as well as a common area and food supply. Players will be paid for their contributions. Miners make money by turning in ore, crafters can turn ore into goods and sell them. Security team makes a base salary (lower than most). Explorers can turn in found objects or sell information to other players and mercenary/hunters can sell off any excess alien food they come across and/or objects. The weapons in game consist of kyber-powered blaster rifles as well as light sabers (rare) which only those of the proper mind training can come to master. The force does exist and can be manipulated but this race of earth survivors has long lost the proper training and meditative techniques to master the force. In time, one may rise up to prove themselves capable of being force-sensitive and may inherit and learn to master it. Interesting concept. How different is this from say, Legends of the Jedi? Greetings and Hello from Thengston Platform! I've just started this project and I'm hoping to get this show on the road! If you're interested in building, please hit me up with a PM here on the forums or send me an email to arturus@greylight-rpi.com. GreyLight is a space survival RPI set in modern grunge-like technology such that is seen in Star Wars. You'll be able to use blaster pistols and rifles of various types as well as find the elusive light saber. Whether or not the force exists is definitely a question to be answered through in-game play and how feasible it may be.. well - one will find out. We are in ALPHA at this current present time though we will open for players as soon as the world building is complete. There are currently approximately 150 rooms for the Thengston Mining Platform which is the starting zone for players. You can expect to play on the Atonement (OpenRPI) engine which already has most features integrated such as firearms, radio communication, and the likes. There is a system in place for variables on objects and mobiles as well as an in-depth melee combat system. Play the game when we open! We will unlock areas as we get them built and fleshed out. You'll start out in a small environment aboard the mining platform. Jobs and duties while in this phase will include Security, Mining, Industrial Craft, Combat Training and more. There will be a space environment requiring a specialized suit to brave the great vacuum as well as an asteroid or two to mine resources from. You may find tunnels and deep labyrinths on the asteroids where an unknown danger may await you should you travel through its depths. Further, we have plans to implement in-space travel aboard your own ships as well as hyperspace travel to other solar systems, planets, and colonies. There will eventually be a broad and open world to explore and discover. Will you find resources from that asteroid in the distance? Perhaps life? You may even contract a harmless (you hope) space virus from visiting unknown environs which have atmospheres. What you do will depend on you. While in the beginning there will not be much opportunity for thieving and skullduggery but as the game progresses, you may find yourself running a pirate operation from space. The possibilities are endless. Changed registration questions again and cleaned the board of the few bots that made it in. ArmageddonMUD was my first MUD, and in many senses, my only. I've dabbled in others in the few years I've been on the scene, but none have managed to hold my attention the way Arm has. I still play it, and have no plans to stop. 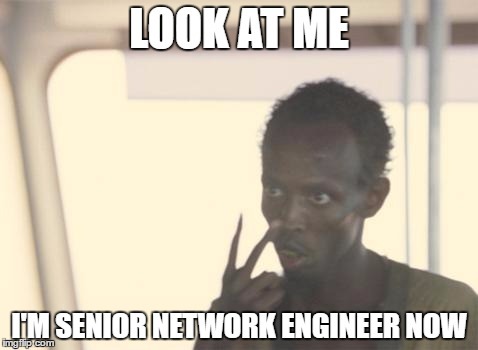 I'm going to Las Vegas this next week for Cisco Live! I've never been to Vegas before. What should I do besides sit in bars and tavern emote about how the light shimmers off my chitin scimitar? I'd still love to see this done, however it won't happen anytime soon.